She's Fantastic: Kre-O Transformers Prime ARCEE! This little lady took quite a while to hunt down on eBay. 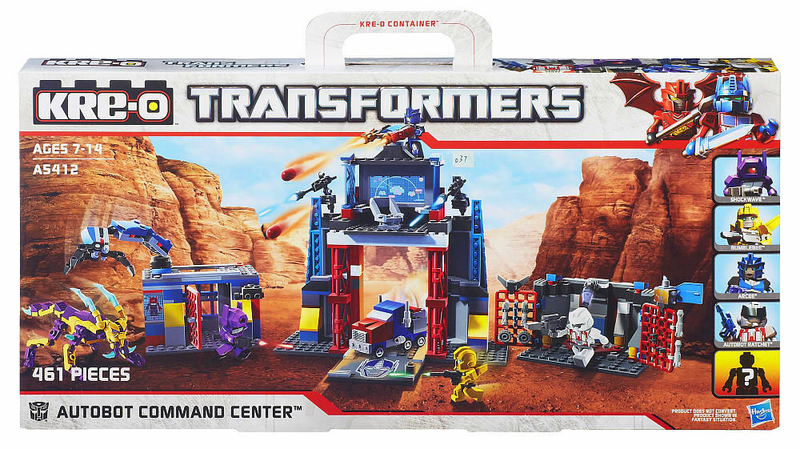 I've been seeing the super-expensive ($49.99) playset at Toys 'R Us since this past fall, but it seems like every set goes on sale except for this one. 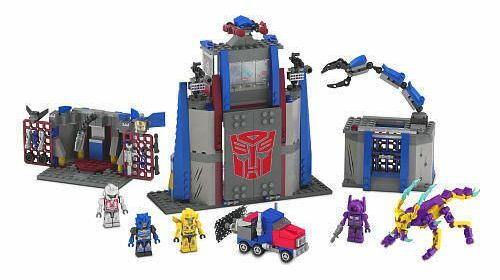 The Autobot Command Center is themed after the Transformers: Prime continuity and includes 5 Kreons - most notable for me being the Prime Arcee in her cool blue design. None of these Kreons appear to have transforming features - I guess that's why the Blind Bag figures are also labelled as "Micro-Changers" and these aren't. It's no worry though because I personally feel that the vehicle modes for the Kreons are a little forced. This Arcee is arguably the most feminine of all the femots we've seen in this line so far. She has feminine lips, eyes, and chest design. None of the others hit all three of those points. (Although the G1 Arcee gets some girl-points for being all pink). She's my new favorite Kreon for sure (at least until that cool looking Blackarachnia comes out). Let's check Arcee out in detail below! I think the details of her eyes decals are awesome. They almost have a glowing quality. Here she is with The Series 2 Blind Bag Arcee.